June marks the beginning of hurricane season, but unfortunately we have already seen the devastating effects that torrential rain and storms can cause in our communities, most recently in Baltimore City, Catonsville, Ellicott City and Washington County. My thoughts and prayers are with all the communities and citizens affected by the recent flooding there. Maryland is a state built around our waterways and we are uniquely susceptible to flooding and storm surge, especially in those communities at or near our 3,100 miles of coastline. For that reason, adaptation and resilience against climate-related weather threats is an ongoing priority for the Maryland Department of Natural Resources and our many partners. With this in mind, last month we successfully introduced Maryland’s first-ever State of the Coast Conference. We convened more than 200 people from across the state involved in commerce, planning, policy, science, strategy, transportation, and on-the-ground conservation and restoration efforts, to work together on preparing for and responding to climate change, global warming and sea level rise. At the conference we established the nation’s first state-led Climate Leadership Academy that will be a forum to educate and train local and state government officials, nonprofits and infrastructure organizations on the basics of climate change. Through this effort, we will support locally-designed and led efforts and initiatives by providing a forum for community leaders to build their own capacity, convene with their peers and partners, and share best practices and results. We also announced a new common grant application for the assistance we already provide coastal communities. 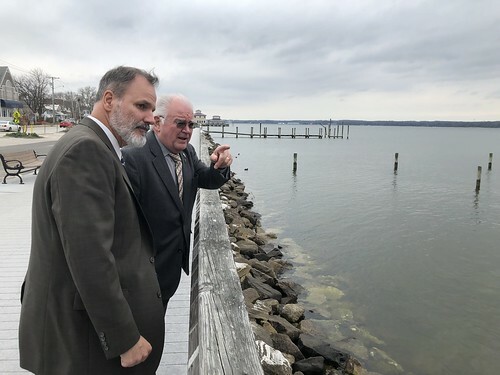 This will include more convenient and coordinated access to grant funding programs like the Chesapeake and Atlantic Coastal Bays Trust Fund, CoastSmart Communities, Watershed Assistance, Waterway Improvement Fund, Working Waterfronts and others. Maryland is well-equipped to lead the country in driving creative, innovative and successful strategies aimed at addressing anticipated climate change-related impacts on our businesses, citizens and communities. It’s essential that we continue to gather to share the latest knowledge and leverage all our capacities and resources to engage all of Maryland to help preserve our coastline and communities for generations to come. I greatly appreciate the hard work and enthusiasm of everyone at the State of the Coast Conference, and I’m excited about the future. We are in this together, and only together will we find solutions to our shared challenges!